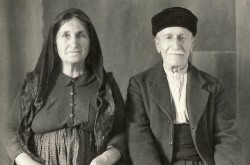 Above: His parents, Amerisouda and Stephanos. 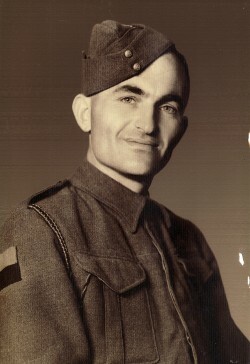 Above Right: A portrait taken while serving in the New Zealand Army during the Pacific War against the Japanese. 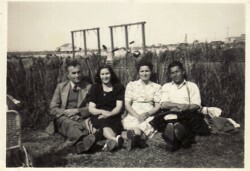 Above: With his wife, Ekaterina (Kaity), and Despina and Michael Yiasoumi. 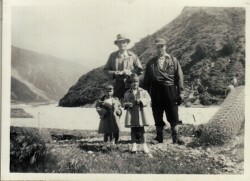 Above Right: With Peter Matsis, and his children, Stephan and Mersyna. 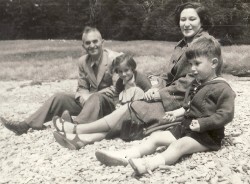 Above: With his wife, Ekaterina (Kaity) and their children, Anne and Stephan. Above Right: With friends. 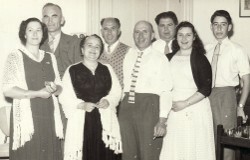 L-R: his wife, Ekaterina (Kaity), Emmanuel himself, Erasmia and Ahilleas Asproloupos, Emmanouil Asproloupos, Mathew, and Maria and Michael Asproloupos. 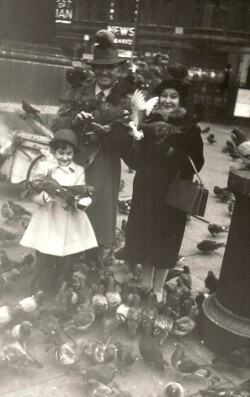 Above: With his wife, Ekaterina (Kaity) and their daughter, Anne, in London's Trafalgar Square. 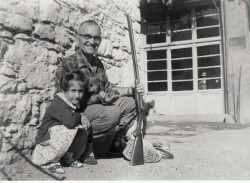 Above Right: With his daughter, Anne, in Akrasi. c1961.